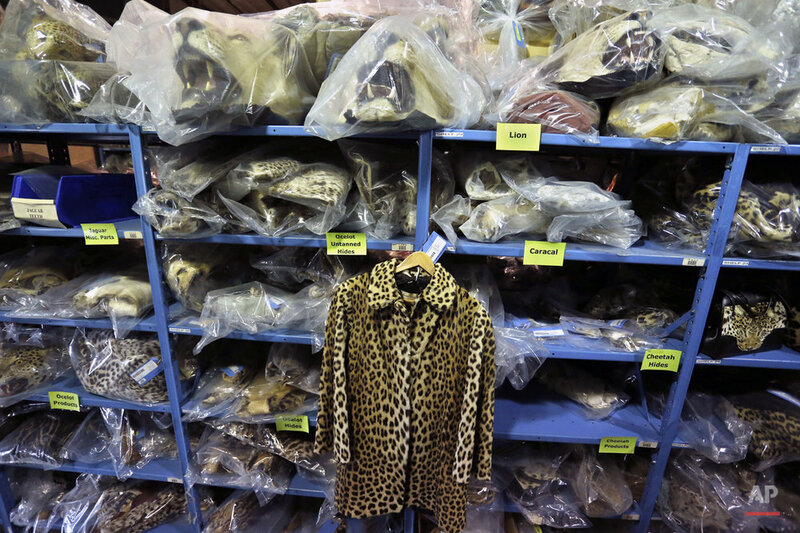 Elephant tusks, leopard heads, crocodile skin purses and tiger skins — more than 1.5 million items in all — fill the shelves of a warehouse on a wildlife refuge near Denver. 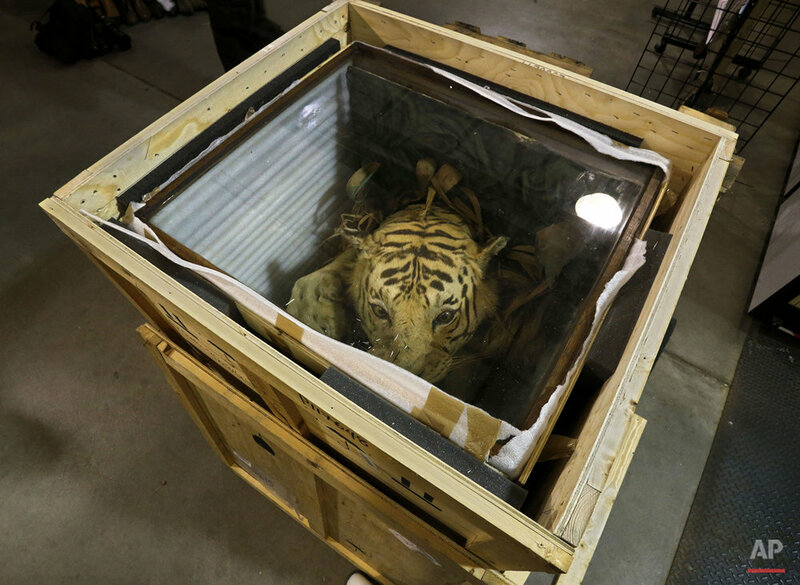 The National Wildlife Property Repository is the only place in the United States that stores such a large collection of seized wildlife items. It provides a macabre look at the cost of the global trafficking of endangered and threatened animals. The contents of the Colorado center operated by the U.S. Fish and Wildlife Service's Office of Law Enforcement include an array of animal parts, large and small, and the items made from them — skins, carved ivory, boots, even medicines. The confiscated items come from law enforcement agencies around the country. 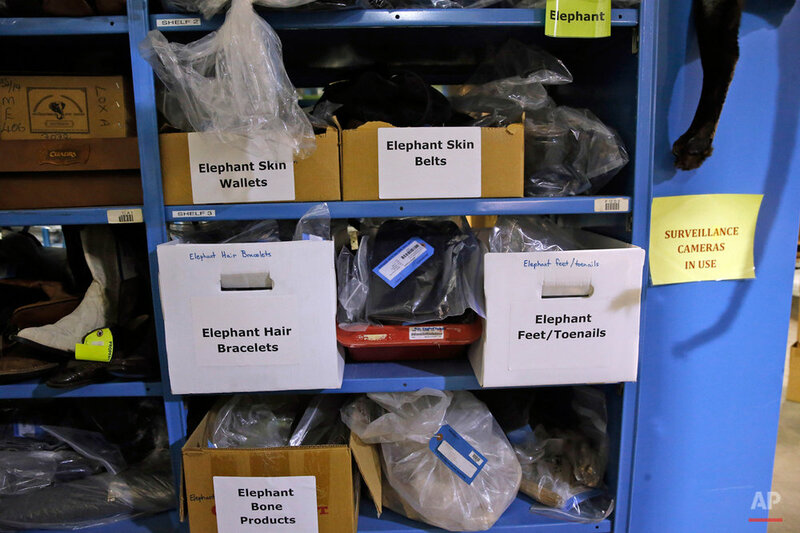 "You can think of us as customs for wildlife," said Coleen Schaefer, who supervises the repository. A multibillion-dollar industry, the black market in wildlife is the fourth most profitable in the world, after illegal trafficking in weapons, drugs and humans, Schaefer said. The repository has a loan program for schools, museums and nonprofits that have a conservation message. It also sends items to research institutions. "Our main purpose is to provide conservation education about the legal and illegal wildlife trade," Schaefer said. Nearby is the National Eagle Repository, also a one-of-a-kind facility in the U.S. that stores dead bald and golden eagles and their parts and feathers. Alaska Natives and Native Americans in federally recognized tribes may use the feathers for religious purposes. Use of the center's feathers reduces pressure to take eagles from the wild, the Fish and Wildlife Service says. 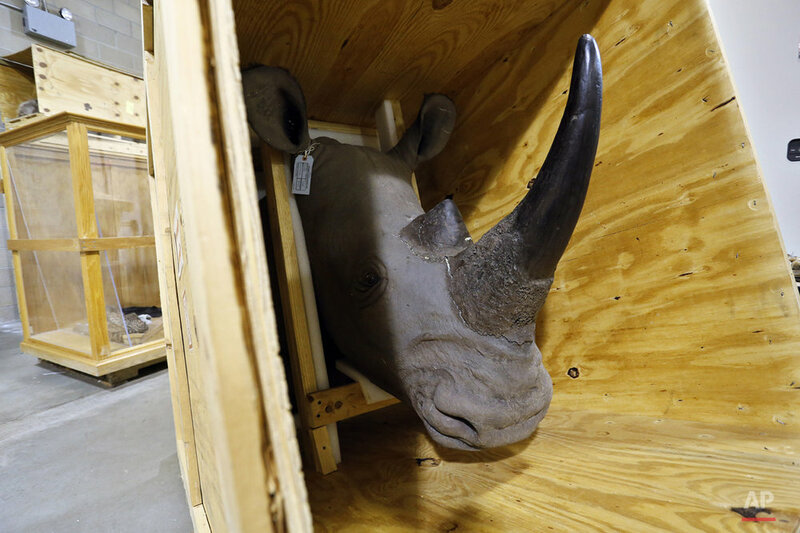 Text from the AP news story, AP PHOTOS: Repository brims with seized wildlife items.